If you’re fortunate enough to have a big backyard or know someone who has a big backyard, you’ll need to ensure it’s the right backyard as well. You’ll need to make sure that the backyard allows tenting, and that it’s got a large enough space and sufficient facilities. 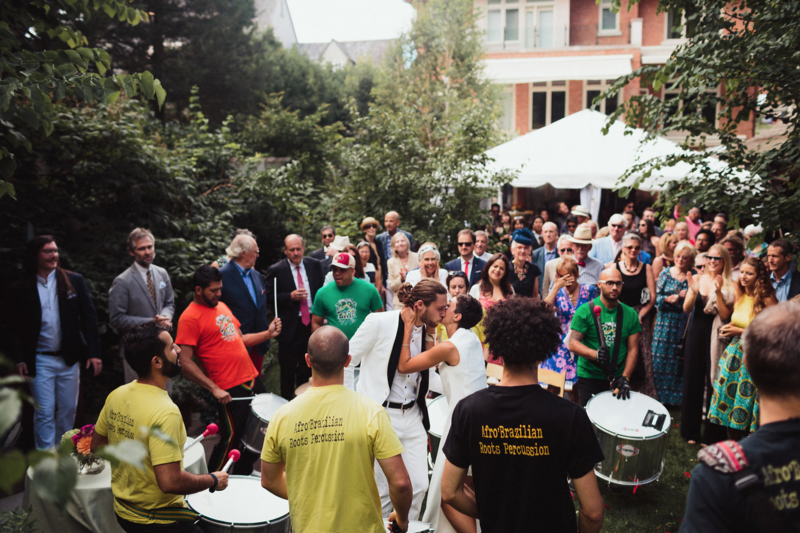 With proper planning and with the right people involved, catering a backyard wedding in Toronto is really magical. Below are Daniel et Daniel’s pros and cons of hosting a backyard wedding. If you’re having your backyard wedding in your own backyard or in the backyard of someone you know, you most likely won’t have to pay hefty wedding venue rental costs. You can allocate your spending towards other things like decorations and entertainment! 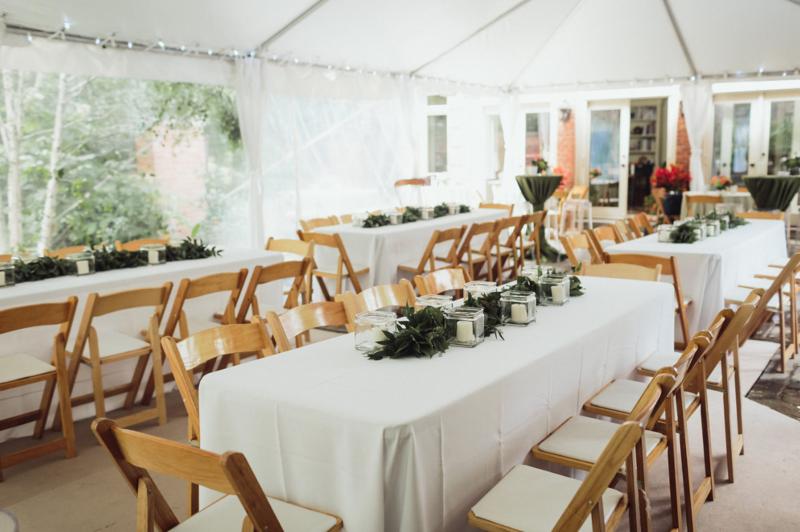 Many wedding venues have a preferred list that you can’t stray away from, but with a backyard wedding, you can use any vendor you want, whether it’s catering or entertainment. 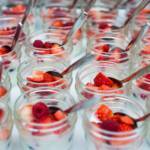 We offer custom wedding catering to help you plan the wedding menu of your dreams. Since you won’t have to deal with a venue, you’ll also have total control of your wedding space, and you can decorate it to your heart’s content. Having flexibility and creativity when working on small details like backyard décor and wedding table setup can give your wedding reception a very special and personal touch. Plus, you don’t have to do it alone – our event planning services include everything from furniture rentals, to floral arrangements, to lighting! We’re the whole wedding planner package. Add a start and end time to your wedding party by choosing your own date. You typically have to book traditional wedding venues as early as one year, but if you’re not renting a venue space, you can select any date that works for you and your wedding party. Venues also have time restrictions that a backyard wedding may not necessarily be subject to – the venue may have an event either before yours or after yours or may require you to be gone by midnight. Also, booze service ends at 2 AM. No dark indoor lighting here! If you’re lucky with the weather and you’ve paid for good lighting in the evening, you’ll have some great photos. Natural light is the best for taking pictures. While a lot of venues have great natural light like the Cathedral Centre or RCM, most aren’t as fortunate to have big windows. 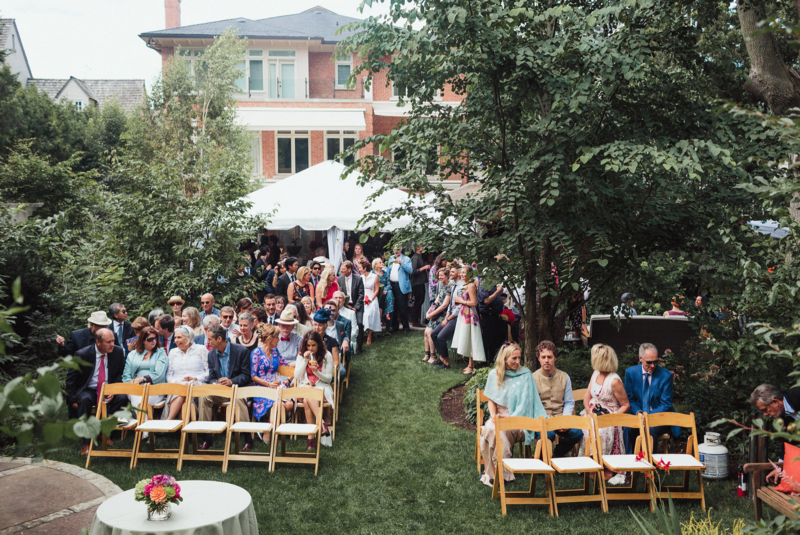 With an outdoor backyard wedding, it’ll make it easier for your photographer, and it’ll allow your guests to capture better quality photos to preserve the great memories. 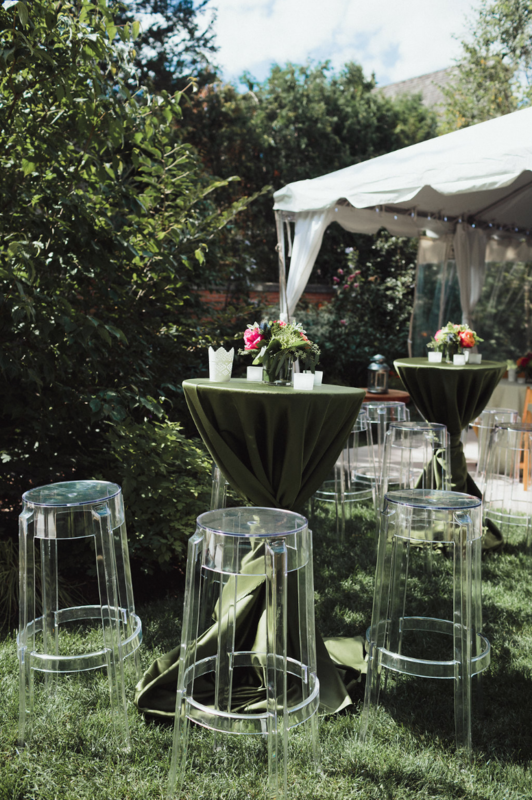 If you’re hosting your wedding in your own backyard or in the backyard of someone you know, it’s a much more personal and intimate space than a traditional wedding venue – people tend to feel more comfortable and relax more in a backyard than in a space they’re unfamiliar with. You can even bring your pets to the wedding! While your guests may be enjoying the party, your neighbours probably won’t be. Dealing with noise, parking, and traffic could become a wedding nightmare. Be sure to look into your neighbourhood’s sound ordinances and parking rules, as well as any permits you may need to book ahead of time. Also, warn your neighbours and ask your guests to be considerate beforehand. 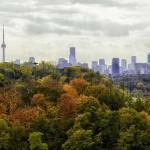 If you live in downtown Toronto, odds are, you’ll only be able to accommodate a limited number of guests. 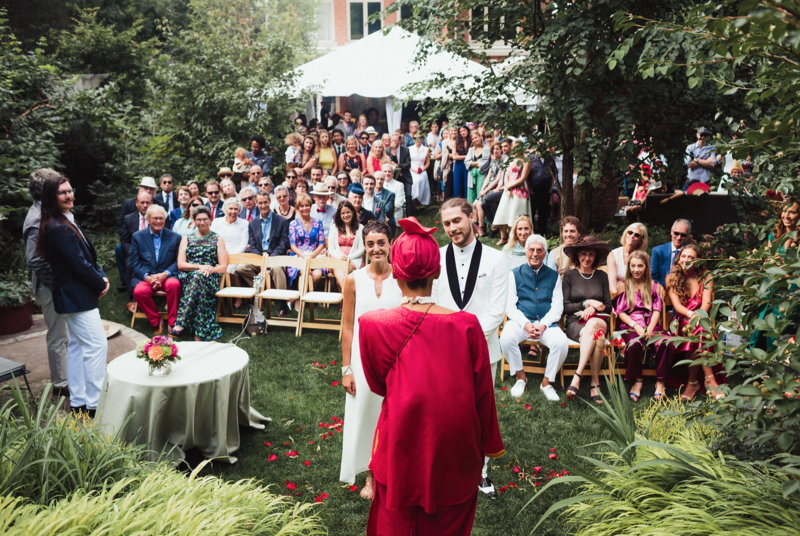 You’ll have to shave down your wedding guest list if you want to have a backyard wedding. Make sure all your guests will be able to fit in your backyard comfortably! 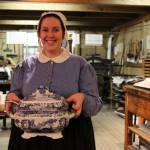 Are you able to accommodate the bridal room, catering kitchen, and washrooms? Does your house have enough power outside for your A/V requirements, including lighting? How many of your guests will need parking? You’ll have to take all of these things into consideration. It’s not just preparing and decorating that’s a lot of work… It’s also the having to deal with the cleanup. The clean up is never fun, especially with a big outdoor event! However, you can enlist the help of your friends and family to help out if they’re willing to. 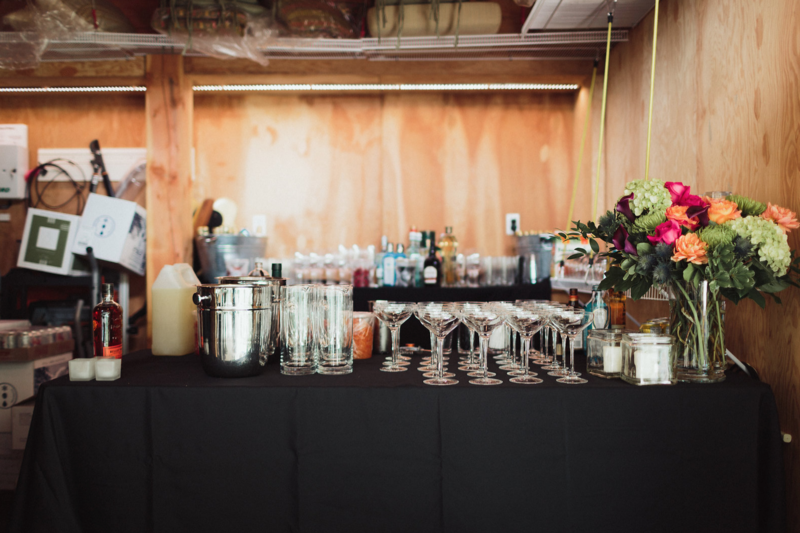 Plus, there isn’t as big of a rush to clean up as it would be if you were renting a venue. You’re going to want to make sure that you’re protected in case something happens – you don’t want to risk having any wedding disasters! It’s always nice to have a peace of mind. You should probably invest in additional liquor liability insurance for your uncle that likes to drink. It is important to be aware of all the pros and cons of having a backyard wedding. Make sure you honestly consider what is right for your wedding venue to ensure its success. No matter where you choose to host your wedding, the memories will last a lifetime. We hope you have found these pros and cons of having a backyard wedding helpful. If you’re thinking of having your own backyard wedding, give the wedding catering experts a call and we will help you make your day truly magical. 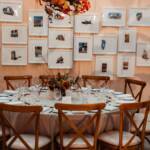 Daniel et Daniel helps with both wedding planning and wedding catering in Toronto. 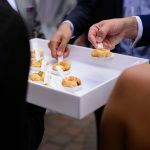 Let the experts in wedding planning and wedding catering in Toronto make your wedding day truly awesome.